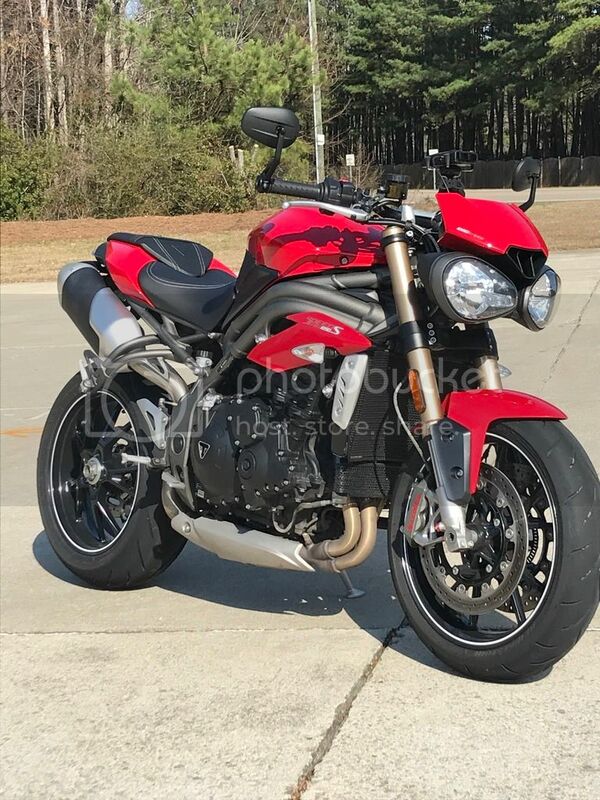 For sale is my red Triumph Speed Triple S. A wonderfully brutish motorcycle. - “New” Bridgestone Battlax S21R tires with ~900 miles. I got a new bike and need to purge the herd. This is a really well put together motorcycle. Nothing but quality parts and craftsmanship. It pains me to sell it. I purchased it new in November 2016. I have performed all maintenance myself. Bank has the title. "Never let life be shaped by fear of its end"
Last edited by MarcusMcRae on Thu Feb 07, 2019 10:08 pm, edited 1 time in total. Lowered the price a bit and added a pic. Just took it in to dealer to have a recall fixed and give it a once over. The recall was for a wire that needed a different bracket and connector.